As seen on Hostess With The Mostess & Sparkling Event Design's Designer Challenge, this DIY printable party package includes all you'll need to totally personalize your next party and add that special touch to make it memorable. 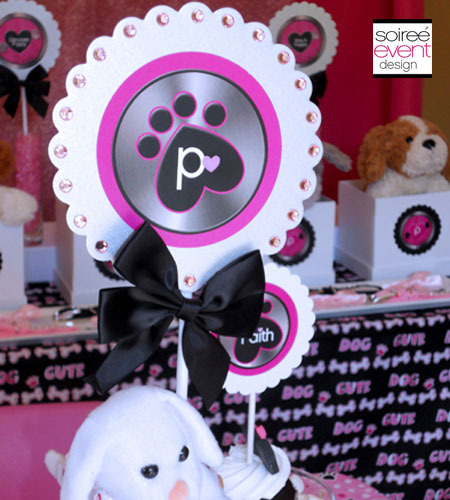 This theme matches well with Littlest Pet Shop party theme. DIY packages DO NOT include any printed items. 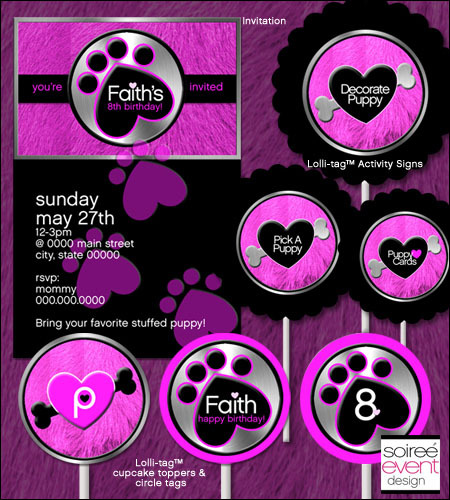 You will receive a digital PDF file containing all of the below items personalized with your child's name and age that you will print and assemble yourself. Invitation and thank you cards sold seperately. 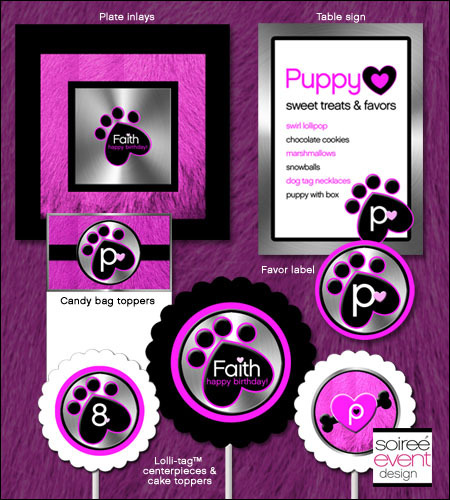 For ideas on how to use your printables, click here to check out our "Puppy Luv! "© party photos for lots of inspiration!